Content includes an over-view of bony landmarks and assessment techniques to accurately determine dysfunctional joint patterns in passive and active functional movements. The therapist will be shown easy to use assessment and structural mobilisation and correction techniques for the Cervical spine, Sub Occipital region, Clavicular and Glenohumeral joints. Understanding muscle tightness and referred pain. How to engage the CNS to reduce pain and muscle tightness. 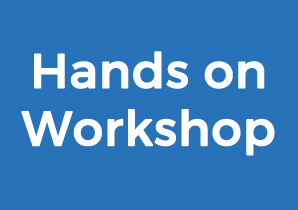 In this workshop we will focus on altered neural dynamics of the upper limb leading to pain, altered sensation, decreased range of motion, and a decrease in functional strength. This session teaches you what Somatics is, how applying the movement practise can help reset muscle length, reduce pain, increase mobility, improve posture and develop Mindfulness without stretching. Fascial Therapy Approach for the Spine, Thorax and Scapula Learn accessible and efficient modified MET for Spinal, Thoracic and Scapular restricted motion patterns. Principles introduced include: Releases that utilise both direct and indirect approaches. Tightness is the focus for all releases. Sometimes pain and tightness correlate, often they do not. Palpation is the only way of knowing. Barriers, both direct and indirect, are released using the combination of direct and indirect manoeuvres. This includes an 'ease-bind' assessment protocol for surface and joint motion. Using an interactive process of treatment and constant re-evaluation, a tight-loose analysis is integrated with changes in myofascial tone, so called inherent tissue motion. Renowned Internation Presenter James Waslaski is back in Australia! 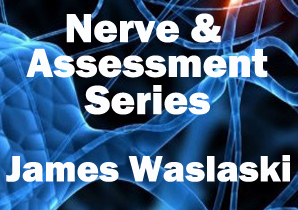 James is returning to Australia with his successful two day seminars on Lower body system assessments, special orthopaedic testing, multiple-disciplinary and multiple-modality treatment, along with precise client self-care protocols which facilitate musculoskeletal alignment and eliminate pain and injuries throughout the body. Renowned Internation Presenter James Waslaski is back in Australia! James is returning to Australia with his successful two day seminars on Upper body system assessments, special orthopaedic testing, multiple-disciplinary and multiple-modality treatment, along with precise client self-care protocols which facilitate musculoskeletal alignment and eliminate pain and injuries throughout the body.